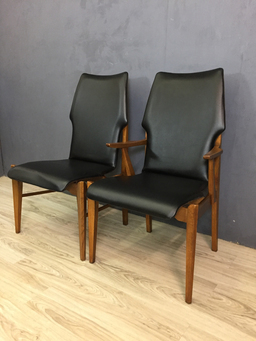 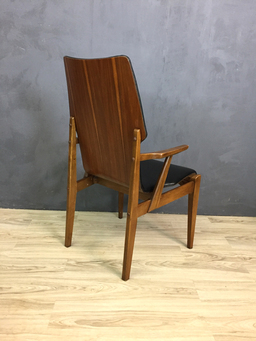 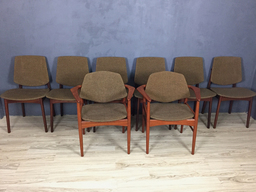 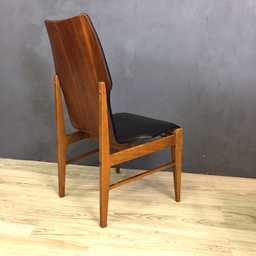 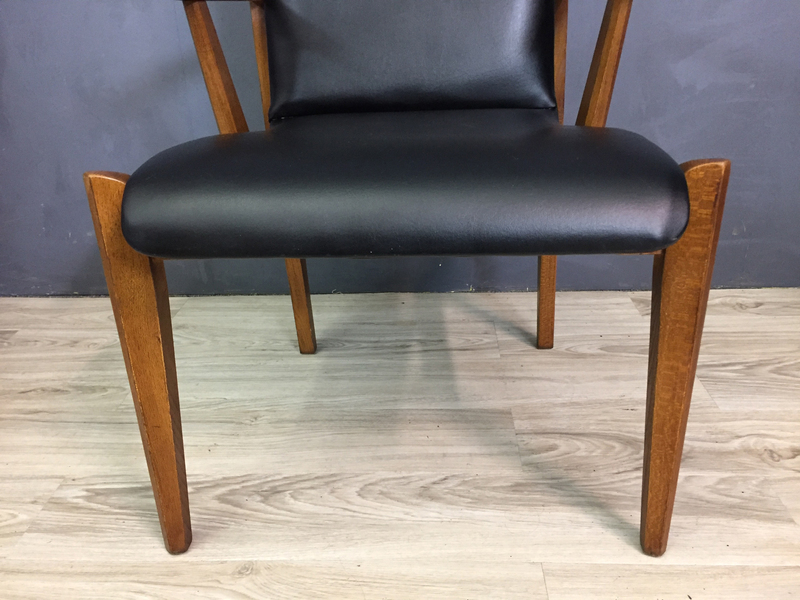 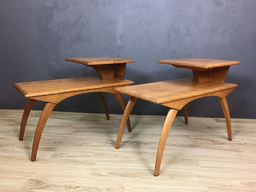 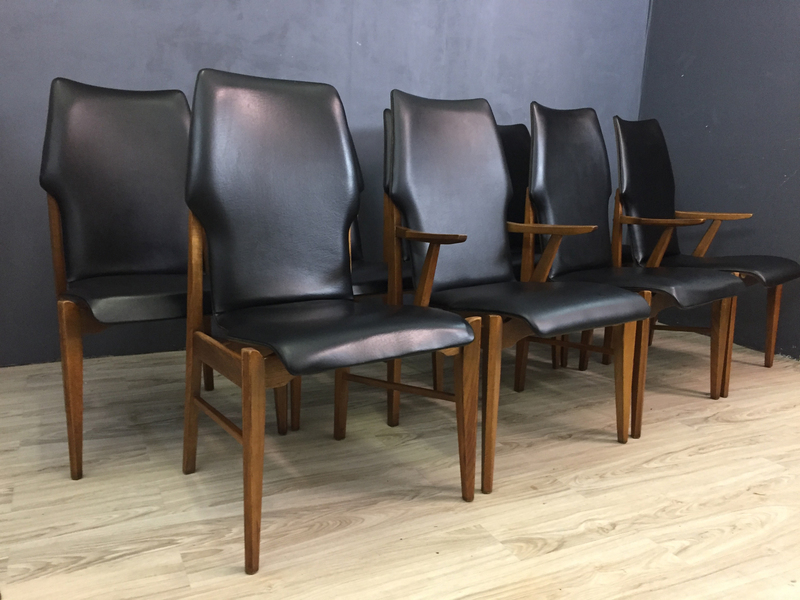 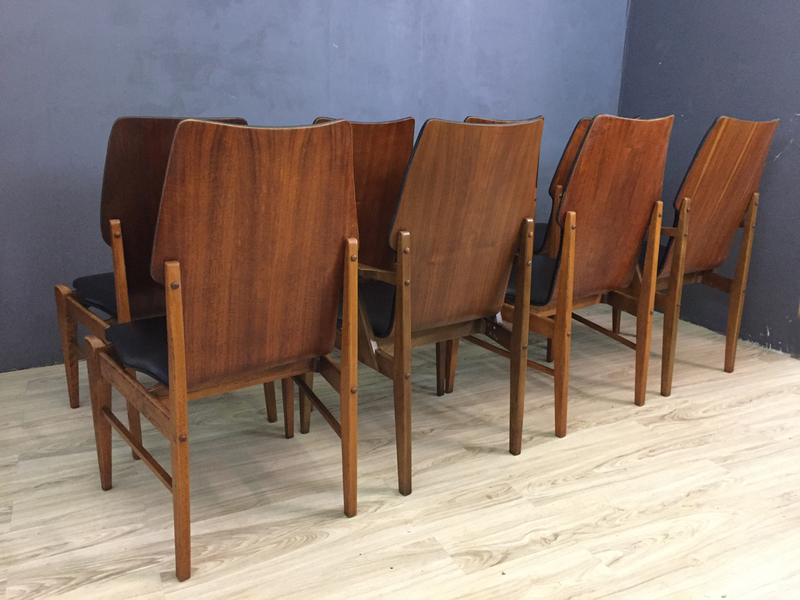 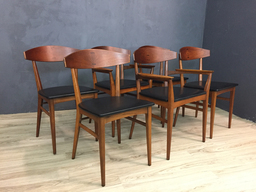 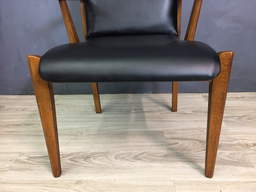 Manufactured by Lane circa 1960’s, these unusual chairs feature a solid wood frame, molded plywood backs with walnut veneer and black vinyl upholstered seats. 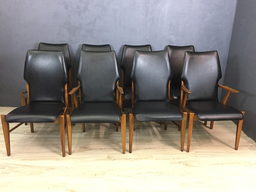 The set of eight includes two arm chairs. 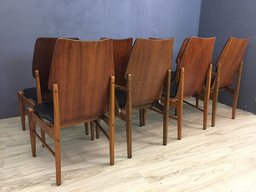 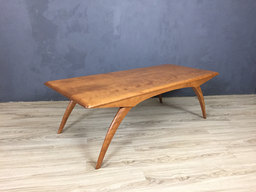 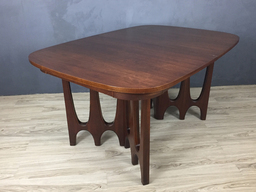 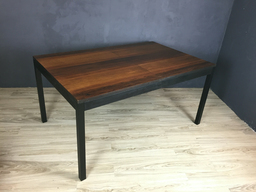 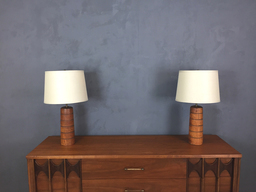 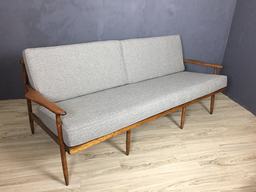 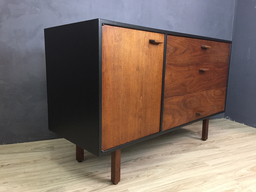 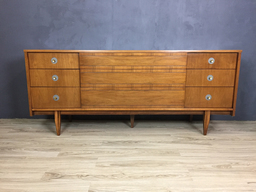 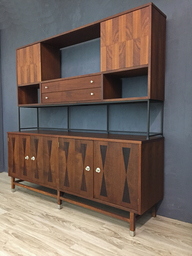 In excellent condition, the wood finish has been refreshed and the frames are sturdy. 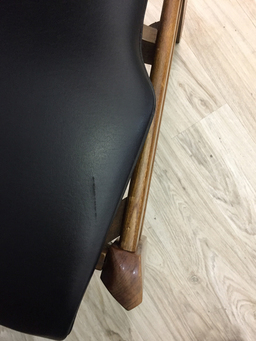 The vinyl has some signs of wear and a couple of scratches but no tears. 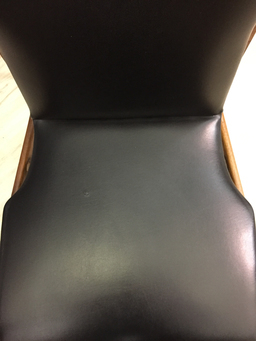 The underlying foam on the seats is in good condition; on five the foam along the front edge has deteriorated. 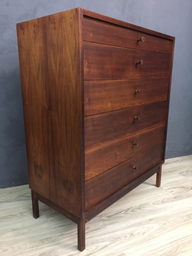 Definitely usuable as is.